Irish Girl in Norway: Norwegian madness.. The flag must be taken down before it gets dark. The flag must never touch the ground. The flag must never be pointing downwards. All of this flag business came as quite a surprise to me becuase in Ireland we don't have our flag on display at all really and it would be unusual to have an Irish flag in your home in the first place, never mind displayed in your front garden! However, this isn't the madness I'm referring to.. Anybody that's lived in Norway in the last few months will have probably heard about the 'butter crisis'. Yes, the butter crisis. This is when a huge amount of people in Norway went on a low-carbohydrate diet and the butter suppliers couldn't keep up leading to a shortage of butter. It was right around Christmas time too! There was even butter for sale on Finn.no, a Norwegian market place type website, for 300kr per half kilo (40 euro)!!! Eventually we got butter from Belgium, Denmark and even Ireland! :) It was great to buy Irish butter in Rema 1000! 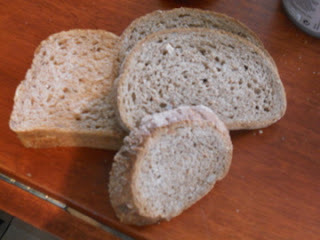 The last of our precious bread! Yes, knekkebrød! I guess it would translate as 'crack/break bread' or 'crisp bread' or something. 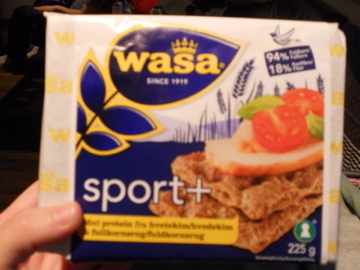 Its hard, thin, crispy bread which is really yummy and a common lunch time staple in Norway.